Airtel Ng one of the best Telecom in the country that offers cheap data and calls to her subscribers. Their calls rate are affordable including their data plans, their network though smooth offers internet bundle hugely hindered by metering. If you can recall this similar to that of mtn free data which users got last year by dialling an used code or by using the MTN official app called MyMTN app. One might likely not opt for the purchase of aitel data citing the weight of the data allocated. The data volume allocated to each bundle is way behind those of Glo and MTN. This isn't the only reason people feel reluctant in purchase of data not only that of Airtel but all other networks in Nigeria. There is one other way in which one can browse for free at no cost. It is through bonuses and incentives made to win the hearts of consumers by these firms. Although these bonus may be open to everyone, not all people would activate and use it. The free browsing trick currently on airtel could give you upto 200MB. Start by activating from the highest to the lowest. If you do dial one and it isn't activated, move to the next, hopefully one would respond. The free data incentive is given according to your recharging strenght, so, don't expect to a 200MB data when your line is dead since 3 months ago. You don't need to power this data through apps as it powers all internet functions without any thirdparty. It's also an USSD code simple activate yours. Activate 1MB free Airtel data dial *141*13*1#. Activate 50MB free Airtel data dial *141*13*50#. 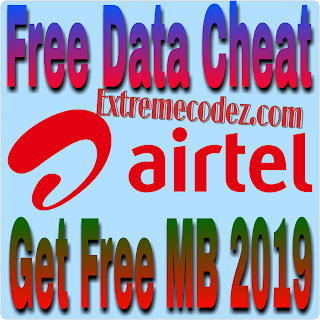 Activate 100MB Airtel free data dial *141*13*100#. Activate 200MB Airtel free data dial *141*13*200#. The bonus is a one-time data and is gotten only once. If you don't get the 1MB data don't expect to get the 50MB there is no harm in trying so try your luck who knows you might be lucky. You can always dial *223# to confirm all bonuses. Don't forget to drop your comments if you actually get the free data or not. Glo and MTN Airtel but all other networks in Nigeria Airtel Free Browsing MB Data Cheat And Tricks.